Are you looking for a Portrait Studio in Northern VA? After you look over family photographer websites, we hope you will consider Ever After Portraits and your family photographer. Mindy and Joriana are the women behind Ever After Portraits, a mother-daughter wedding photography team with vision — we photograph stories of emotion and capture them. We specialize in modern, emotional, and romantic images. I don’t think we can really describe how gorgeous a couple Keren and Jeremy are. I think the images speak for themselves. Take a look and see what you think! Fine Art Photography | Northern Virginia | Family photographer reviews | Thanks for the kudos…. Are you searching for Fine art photography in Northern Virginia? Have you looked through family photographer reviews? Glenn and Lindsay’s wedding was one of our favorites this year. We had the pleasure of working with Tonya Horsley from Any Occasion. How wonderful to receive her great testimonial: “I worked with Ever After Portraits and Mindy and her staff were a pleasure to work with. The staff are professional and friendly and provide excellent customer service. The photographs they take are amazing! They are a wedding or event planners dream vendor to work with. 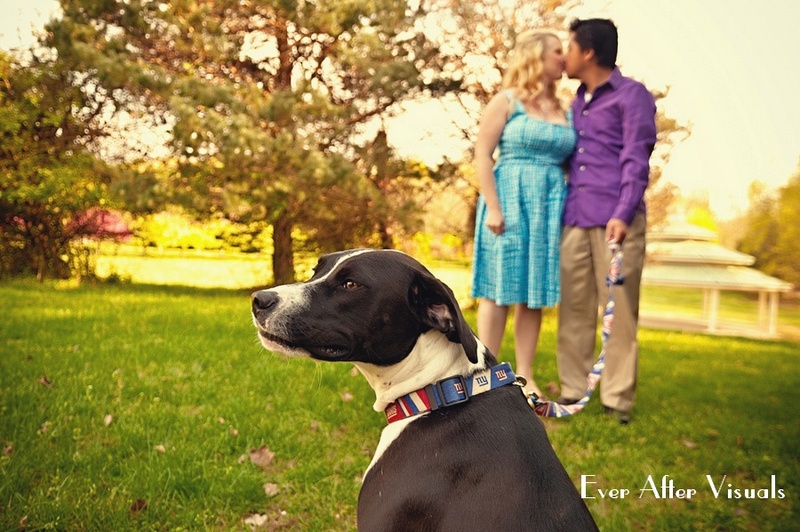 I highly recommend Ever After Portraits for your next event!” Tonya Horsley Thanks, Tonya! We feel the same way. We take Family pictures	near Lansdowne VA. We are a Virginia photographer and family photo sessions are what we love! As part of our wedding photography collections, you not only hire two wedding photographers, who specialize in wedding photojournalism or capturing the emotion of the moment, you are hiring wedding photojournalist who LOVE to work in Northern Virginia. And Meadowlark Botanical Garden is one of our favorite places to shoot. Alisa and Kenny actually met by a fluke. Her plans had fallen through for that weekend. But Kenny, with his persistence and unique sense of humor, won Alisa over. As the date progressed, Alisa realized that this was the most fun she’d had on a date in a while! And so on and so on until one day, at the same place Kenny and Alisa had their first date, Kenny asked her to be his for all time. Portraits | Burke | Photographer Family | WE WON! Our work is now featured on the front page of ISPWP! Yes, we primarily photograph portraits in the Sterling, VA, Burke, VA areas. I personally love being a Photographer. Family photos are just so fun to take and preserve for those who cherish their families…but you should know…. WE WON! Our work is now featured on the front page of ISPWP!We have exciting news! The May assignment was “Surprise.” Congratulations to Mindy Belcher of Ever After Portraits for winning the May Photo of the Month. Having a photography studio near Tysons Corner, which is in the Washington, DC metro area is wonderful! Not only because it is a very popular location for family portrait photography, but also because we get to photograph so many different things — whether it is the engagement, wedding and Day After Sessions of our wedding clients or those with families who come to Ever After Portraits. As part of our wedding photography collections, you not only hire two wedding photographers, who specialize in wedding photojournalism or capturing the emotion of the moment, you are hiring wedding photojournalist who LOVE to work in DC. It was a little cold that day but the sun was shining and the sky was a glorious shade of blue. There were hardly any clouds in the sky. Mindy and I were not sure what to expect. We had met Kara before but had never met Ryan! By the end of the session, we were all laughing — it was so much fun! As we were going back through the images, one thing was apparent — Ryan and Kara are in love! L-O-V-E! The way they look into each other’s eyes, the way they laugh, the way they cuddle — are all unique and it was truly a joy to be able to capture that! Kara is just as cute as a button as they say down south. She is also stunningly beautiful! I love her green eyes! Ryan is the perfect match for her — and they both looked very stylish in their white sweaters. Ryan’s matching his ice blue eyes. Can you tell we have a thing for eyes? Lol! So we must say with such gorgeous subjects, we really love the way the images turned out! Ryan and Kara . . . we cannot WAIT to photograph your wedding! We know it’s going to be beautiful. But until then, we hope you enjoy these images. The best child photographer is a studio photographer near Sterling VA.
Engagements, Weddings and Portraits are what Ever After Portraits specialize in. Located in Northern Virginia and Washington DC, Mindy and Joriana love cool, unique emotional photography. He whispered softly in her ear. Her smile lit up the room as she giggled quietly at John’s joke. She looked up at him and he stared down into her big brown eyes. The shared moment between the two could only spell one thing…love. Do you think there’s only one perfect person out there for each of us? I don’t have the answer but after John and Sara’s engagement session, I think I might have an idea. It’s so interesting to see how a couple translates to images. As we were looking over the images from their shoot, what we noticed first was Sara’s sparkling smile. Sara practically glowed every time John looked at her and you can tell in every photograph. John seemed to light up every time Sara looked at him. It was very plain to see that what Sara and John have is something special. Something different. Something that many people search for their entire lives. Something that Sara and John have found. So IS there a perfect person for everyone? I’m not gonna give the answer away . . . but check out Sara and John’s Sneak Peek/Montage Engagement Slideshow to see for yourself. Click here to check out John & Sara’s SNEAK PEAK Engagement slideshow!